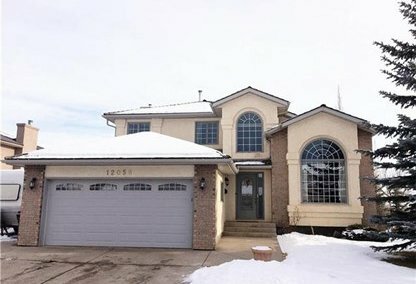 Search Diamond Cove homes for sale & just listed real estate in Calgary. Diamond Cove is a new housing community in Queensland Downs. It is surrounded by the Bow Bottom Trail on its west, Canyon Meadows Drive on its south, Bow River and Fish Creek Provincial Park on its east, Deerfoot Trail and Anderson Road on its north. 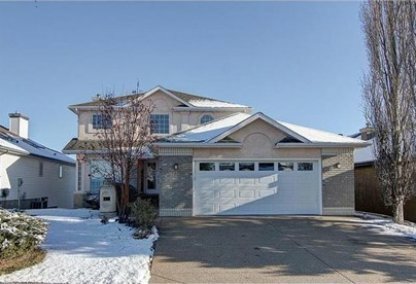 For information about the newest listings in Diamond Cove for sale or to schedule a private home showing, contact your Diamond Cove Calgary real estate experts today. Diamond Cove housing market statistics: As of April 25, 2019 there are currently 2 properties for sale in Diamond Cove listed as active, with an average asking price of $612,400. The highest-priced property is $689,900; the lowest priced property can be purchased for $534,900. Diamond Cove neighbourhood listings have an average price of $271 per square foot, based on listings with 4.0 bedrooms, 3.0 baths, and 2,254 square feet of living space. Looking to sell or buy a home in Diamond Cove Calgary? Call Justin Havre at RE/MAX First - 403.217.0003, your neighbourhood Calgary real estate team. We are Diamond Cove real estate agents and experts on the Diamond Cove housing market in Calgary. The median household income of the residents in the Diamond Cove community was marked at $60,175 in the year 2000. Single-family residential homes are the main dwellings in the area, while 15.4% are condominiums and apartments. The Diamond Cove community is served by Haultain Memorial, Queensland Elementary, and Wilma Hansen Junior High School. Other nearby schools in the area include Lake Bonavista Elementary, R.T. Alderman School, Lord Beaverbrook High School, and Henry Wise Wood High School. The neighbourhood of Diamond Cove is near Fish Creek Provincial Park, making it the main area for recreational activities for home owners. There are a number of neighboring communities that also offer great amenities. The closest bus routes in the area include Douglasdale, Ogden, and McKenzie. The closest LRT stations to the Diamond Cove community are the following: Canyon Meadows Station, Heritage Station, Fish Creek Lacombe Station, Southland Station, and Anderson Station. Diamond Cove also has a multitude of neighbourhood libraries, including Fish Creek Branch, Glenmore Square Branch, Alexander Calhoun Branch, Shawnessy Branch, and Southwood Branch. Thinking of buying or selling a home in Diamond Cove? Let our local real estate agents help guide you through the purchase of your next home, or to expertly negotiate the sale of your current home. As local Diamond Cove real estate agents, we're experts on the market dynamics unique to the Diamond Cove real estate market. We'll get to work for you today! Contact Justin Havre at RE/MAX First - 403.217.0003 to learn more about buyer or seller representation. Planning to sell your Diamond Cove home? Check out our free home evaluation, where you can instantly price your Calgary home price your Diamond Cove home online, in minutes!